In response to the pro-Israel event on campus, Media Matters’ Max Blumenthal wrote an article for the Daily Pennsylvanian, the university newspaper, entitled, "Torture, Violence Advocate to Keynote anti-BDS Event," with the sub-heading, "Alan Dershowitz, supporter of bulldozing Palestinian towns and torturing criminal suspects, is coming to campus." Media Matters, the Democratically aligned media watchdog organization, has been widely accused of engaging in anti-Semitic discourse, namely the repeated use of the term “Israel firster,” by Media Matters’ senior foreign policy fellow, MJ Rosenberg, to describe American Jews whose main concern in American politics is its effect on Israel. Unfortunately, it comes as no surprise that Max Blumenthal and others, who use the pretext of dual loyalty and anti-Israel discourse to promote anti-Semitism, should be opposed to pro-Israel activities on campus. Yet, the claims against Dershowitz are not only completely unfounded, but may in fact constitute outright libel. 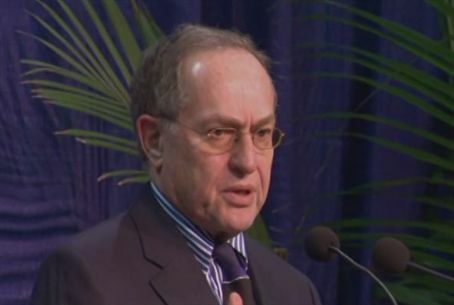 Dershowitz, who declined Prime Minister Benjamin Netanyahu’s appointment to become Israel’s ambassador to the United Nations, for fear that “it would have sent to a fevered pitch the ‘dual loyalty’ argument against American Jews” and who epitomizes the Democratic and liberal ideals upon which universities pride themselves, should simply not be the target of undue slander, professed by the proponents of BDS.